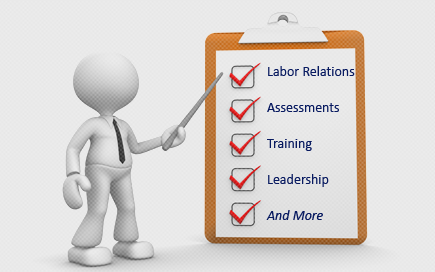 Labor Relations News Update December 5, 2013 | Oliver Bell, Inc. Nothing unusual about the banquet menu lined up for Saturday evening’s steelworkers union awards dinner – boneless breast of chicken, linguine Alfredo for the vegetarians. But two honorees at the event at a South Philadelphia union hall will be anything but typical. The United Steelworkers Local 10-1 will honor two high-ranking management executives with “Solidarity and Appreciation Awards.” “It’s rare,” said Philip Rinaldi, chief executive of Philadelphia Energy Solutions and one of the two management honorees. Union-management differences make headlines because, union and management experts say, there is no news in the more common reality – the productive relationships many firms have with their unionized workers. Those relationships are an everyday reality. But an award given by a union to management is not. The basis for the USW Local 10-1’s award is simple enough: Hundreds of union steelworkers at the former Sunoco Inc. refinery in South Philadelphia wouldn’t have jobs today if it weren’t for Rinaldi and David Marchick, the other honoree. The selection of Marchick is almost stunning. He is managing director of the Carlyle Group, a private-equity management firm, a category of enterprise rarely popular with unions. “It’ll be fun,” Marchick said of the event. In 2011, Sunoco said that unless a buyer could be found by July 2012, it would shut its South Philadelphia refinery, putting 850 people out of work. An unusual degree of bipartisan political cooperation ensued, with the White House, Gov. Corbett, U.S. Rep. Robert Brady (D., Pa.), and other local politicians putting pressure on Sunoco to come up with a deal. The United Steelworkers central office, based in Pittsburgh, also got into the act – the union had worked with Carlyle to save another business in the Midwest. Local union leaders pressed the politicians to push a deal. Sunoco became a minority partner in the venture led by the Washington-based Carlyle, which bought the refinery and created Philadelphia Energy Solutions, now headed by Rinaldi. The deal closed in September 2012. Since then, the company has increased employment by 10 percent, invested millions in the 1,400-acre parcel on the Schuylkill, and installed a new rail line. The refinery processes 330,000 barrels of low-sulfur crude oil daily, converting some of it into 6.7 million gallons of gasoline – enough to fill the tanks of 445,000 cars. “Inviting the company to this union function feels sort of weird,” Jim Savage acknowledged. Savage heads USW Local 10-1, the union that represents the South Philadelphia refinery workers. But, Savage added, he could have “gone to Washington [lobbying] until the cows come home, but if no one was willing to buy the refinery,” the union’s members would have been out of work. Savage believes most of those union workers would have been unable to ever land jobs that would have paid as well. True, the idea of a private-equity owner worried him. “You think private equity – they’ll come in and strip and flip you,” Savage said. “But they’ve put millions of dollars here.” By saving the refinery and investing in it, Savage said, management deserved the union’s thanks, but that’s not why Rinaldi and Marchick got the invitation to join the banquet, where they will be honored along with USW’s national president, Leo W. Gerard. “If they came in and bought the refinery and treated us like [expletive], we’d still appreciate it,” Savage said, “but you wouldn’t see them at our dinner.” In separate interviews, Rinaldi and Marchick described the USW, as well as its national leaders and its local leaders, as pragmatic and nonideological. “We’ve tried to create alignment between Carlyle investors, the company’s management, and the workforce so everybody is paddling in the same direction,” Marchick said. The Supreme Court has had the final word on alcohol testing. Random alcohol testing in the workplace is prohibited unless the employer can prove that, in addition to having a dangerous workplace, there are other pressing factors such as an overt substance abuse problem in the workplace. Highlighting that harsh tactics in dealing with dismissed employees can backfire in a major way, in 2009, the Ontario Superior Court of Justice awarded a wrongfully dismissed employee an unprecedented $550,000 in punitive damages. The Township had dismissed the employee on the basis of alleged discrepancies in building permit fees and then exerted pressure on the OPP to lay criminal charges, which resulted in a four-day criminal trial and ultimate acquittal. The employee sued the Township for wrongful dismissal and malicious prosecution and was awarded damages for both. In November 2013, the Ontario Court of Appeal slightly reduced the amount of punitive damages awarded by the trial judge to $450,000 but still found that the Township had severely mistreated the employee. In the ongoing quest to define who is an employee, the Federal Court of Appeal took a crack at reconciling the competing tests for who is an employee vs. independent contractor. This was a tax law related decision so we wait to see if other adjudicators will follow this test, which places a new focus on the intent of the parties in forming the relationship; a factor not generally considered by the Court in employment law cases. This was the first Ontario court decision to award damages under the Human Rights Code. The Ontario Superior Court awarded $20,000 to the employee after finding that her ongoing back problems and related requests for accommodation were a factor in the employer’s decision to terminate, despite the employer’s argument that her termination was part of a corporate reorganization. The case serves as a reminder that discrimination and accommodation cases are not limited to the Human Rights Tribunal, but can be raised in wrongful dismissal cases, as well. In 2006, during a lawful strike, a union recorded and photographed individuals crossing its picket line. The union also posted signs in the picketing area stating that images of individuals crossing the picketline would be placed on a website. Several individuals who were recorded crossing the picketline filed complaints with the Information and Privacy Commissioner of Alberta under its Personal Information Protection Act (“PIPA”). The Supreme Court of Canada ruled that the scope of PIPA infringed on the union’s right to freedom of expression and declared PIPA to be invalid, giving the Alberta legislature 12 months to rewrite PIPA to make it compliant. The Supreme Court emphasized the importance of a union’s freedom of expression in the context of labour disputes, noting that it is through expressive activities, such as picketing, that unions attempt to persuade their employer as well as bring the disputed issues to the attention of the general public. The Court also cautioned that a union’s freedom of expression is not absolute and must be balanced with the other interests at stake. The case is a reminder that a union’s right to picket and use of picketlines will be strongly protected by the courts, so long as the form of expression does not unlawfully infringe on other protected rights such as privacy. In a refreshing decision, the Supreme Court of Canada upheld the non-competition and non-solicitation restrictions contained in a purchase and sale agreement which restricted the vendor employee from competing or soliciting for a 5 year period following the termination of employment. The Supreme Court held that restrictive covenants entered into in the context of a sale of a business, as opposed to in the employment context, are generally lawful unless the scope is unreasonable; a significant departure from the employment context which starts from the premise that restrictive covenants are unlawful unless proven reasonable. Further, the Supreme Court held that given today’s modern economy, non-solicits in respect of clients do not need geographic scopes if the provision specifies a specific type of client. The case is a positive development for employers. In this labour arbitration case, the arbitrator ordered a former employee to repay the full amount of a settlement after finding that she breached the confidentiality obligation contained in the settlement agreement. The settlement agreement specifically contained a pay-back clause. Several years after the settlement, the employee published a book which contained numerous statements that alluded to a payout, such as “I can’t disclose the amount of money I received”, “I’d just been paid a pile of money to go away”, and “Two weeks later a big fat check landed in my account.” The arbitrator ruled that the statements did not have to contain the amount of the settlement; simply stating that there had been a payment of some kind was sufficient to breach the agreement. The outcome here suggests that employers should consider pay-back provisions in settlement agreements, particularly where the terms of settlement are large or high profile. Just cause does exist. The Nova Scotia Supreme Court held that CIBC had just cause to terminate a prominent Halifax investment advisor because he had engaged in unauthorized discretionary trading on behalf of his clients. The Court rejected the advisor’s argument that he had been wrongfully targeted for being the whistleblower of a CIBC error that resulted in $38 million in losses to his clients alone. The Court was persuaded by the fact that the advisor’s discretionary trading was substantial and ongoing, and that he had lied when the employer confronted him about it. The decision demonstrates that the Court will support a just cause finding where the employee’s conduct is egregious and where the employer has conducted a thorough and well-documented investigation. The Ontario Superior Court ruled that employers have the ability to alter benefits after retirement if the right is drafted in a clear and unambiguous agreement. However, in this case the Court ruled in favour of the retired employees, finding that the language in GM’s plan was not sufficiently clear so as to permit the alteration of benefits after retirement. The case demonstrates that employers who wish to reserve the right to change their benefits plans and for such changes to apply to retired employees can do so, but the plan must make clear that the changes will apply to retirees. If it does not, the Court may consider the retirement benefit to be a form of deferred compensation that cannot be altered, as opposed to a gratuitous benefit. In one of the more controversial cases of the year, the Human Rights Tribunal of Ontario reminded us of the extent of its remedial powers. The Tribunal ruled that the employer school board failed to accommodate the employee’s disability and reinstated the employee to her position nearly 9 years after her termination. In addition, the Tribunal awarded nine years of back pay including lost wages, restoration of seniority, banked sick days, pension, and CPP contributions. The Tribunal also ordered the employer to calculate the tax consequences arising from receiving multiple years of wages in a single lump sum and to compensate the employee accordingly, as well as out-of-pocket medical/dental expenses. Finally, the Tribunal ordered $30,000 as compensation for the injury to the employee’s dignity, feeling and self-respect. This case is under judicial review and we expect the Court to rule on it early in the 2014. Be on the lookout for a follow-up E-lert. The Alberta Court of Queen’s Bench found that Telus was justified in firing an service technician for just cause who claimed to be too sick to work yet pitched in a softball game the same day. The employee had originally requested the day off to play in the softball tournament but was denied because no other technicians were available to complete the scheduled work. The employee then called in sick and the employee’s manager, who was suspicious about the illness, went to the location and observed him playing in the game. When questioned about it, the employee admitted that he pitched in the game but insisted that he had had a severe case of diarrhea the night before that he could manage on the softball field but not at customers’ homes. The Court overturned the arbitrator’s decision of reinstatement and found that Telus had just cause to terminate the employee. The Court found that the conclusion that an employee is too sick to work yet can still pitch in a softball game defied logic and common sense, noting that it would be unreasonable that the diarrhea could be so severe as to merit missing work yet be manageable on the pitcher’s mound. The decision in this case should be reassuring to employers confronted with highly questionable employee absences. Every now and again—recently, for instance, with the announcement that Microsoft will be changing its performance-appraisal system—some news event unleashes a fresh round of debate about the management practice dubbed “rank-and-yank.” That’s the term used to describe how companies supposedly identify their worst performers once a year and then, boom, fire them. It makes me want to scream. And I know I’m not alone. Because most experienced businesspeople know that “rank-and-yank” is a media-invented, politicized, sledgehammer of a pejorative that perpetuates a myth about a powerfully effective real practice called (more appropriately) differentiation. Unlike “rank-and-yank”—I hate even using that term—differentiation isn’t about corporate plots, secrecy or purges. It’s about building great teams and great companies through consistency, transparency and candor. It’s about aligning performance with the organization’s mission and values. It’s about making sure that all employees know where they stand. Differentiation is nuanced, humane, and occasionally complex, and it has been used successfully by companies for decades. Maybe that’s not as headline-worthy as you-know-what, but reality rarely is. Speaking of reality, here’s a quick description of how differentiation works, including a look at the most common criticisms of it. Differentiation starts with communication—exhaustive communication—of a company’s mission (where it’s going) and its values (the behaviors that are going to get it there). I’m not talking about putting a plaque on the lobby wall with the usual generic gobbledygook. I’m talking about a company’s leaders being so specific, granular, and vivid about mission and values that employees could recite them in their sleep. First, candor is absolutely essential to make differentiation work. Second, differentiation’s performance appraisals are not—I repeat, are not—just about “the numbers.” Yes, the system does assess quantitative results—say, an employee’s sales numbers or inventory turns. But it also looks just as carefully at behaviors, the qualitative factors. Does this person embrace the company value of sharing ideas? Does the employee relish building leaders? What about going the extra mile to delight customers? Now, one of the most common criticisms of differentiation is that it destroys teamwork. Nonsense. If you want teamwork, you identify it as a value. Then you evaluate and reward people accordingly. You’ll get teamwork, I guarantee it. Another criticism of differentiation is that it requires managers to let every employee know where he or she stands—how they’re doing today, both quantitatively and qualitatively, and what their future with the company looks like. Are they a star in terms of both results and values (say, in the top 20% of the team), about average (say, about 70%), or not up to expectations (the bottom 10%)? Note: The 20-70-10 distribution is not set in stone. Some companies use A, B, and C grades, and there are other approaches as well. Without a doubt, some companies use differentiation but leave this “grading” part out. Indeed, over the past 12 years, I’ve spoken to more than 500,000 people around the world and I always ask audiences, “How many of you know where you stand in your organization?” Typically, no more than 10% raise their hands. That’s criminal! As a manager, you owe candor to your people. They must not be guessing about what the organization thinks of them. My experience is that most employees appreciate this reality check, and today’s “Millennials” practically demand it. Yes, I realize that some believe the bell-curve aspect of differentiation is “cruel.” That always strikes me as odd. We grade children in school, often as young as 9 or 10, and no one calls that cruel. But somehow adults can’t take it? Explain that one to me. The final component that makes differentiation work so effectively is feedback and coaching. Your stars know they are loved and rarely leave. Those in the middle 70% know that they are appreciated, and they receive clear guidance about how to improve their performance. And the bottom 10% is never surprised when the conversation sometimes turns, after a year of candid appraisals, to moving on. No, they are not summarily shown the door. When differentiation is done right, their manager helps them find their next job with compassion and respect. Differentiation is not something to be feared, dumbed down or politicized, but instead needs to be understood and implemented. Cruel? No way. Harsh? Just the opposite. With its candor and transparency, differentiation provides dignity, develops future leaders, and creates winning companies. In 2008, 1.9 million Portuguese workers in the private sector were covered by collective bargaining agreements. Last year, the number was down to 300,000. Tethered to the euro and thus unable to devalue their currency to help make their goods less expensive in export markets, many European countries — especially those along the Continent’s southern rim that have been hammered by the financial crisis — have been furiously dismantling workplace protections in a bid to reduce the cost of labor. The rationale — forcefully articulated by the German government of Angela Merkel, the European Commission and somewhat less enthusiastically by the International Monetary Fund — is that this is the only strategy available to restore competitiveness, increase employment and recover solvency. These policy moves are radically changing the nature of Europe’s society. While most of the debate over Europe’s response to the financial crisis has focused on the budget austerity enveloping the Continent, the comparatively unheralded erosion of worker protection is likely to have at least as big and lasting an impact on Europe’s social contract. Europe’s strategy offers a test of the role played by labor market institutions — from unions to the minimum wage — in moderating the soaring income inequality that has become one of the hallmarks of our era. Inequality across much of Europe has widened, but it is still quite modest when compared with the vast income gap in the United States. The question is whether relative equity can hold as workplace institutions that for decades protected European employees’ standard of living give way to a more lightly regulated, American-style approach, where the government hardly interferes in the job market and organized labor has little say. The evidence so far suggests the answer is no. The drop in unionization in Portugal “is going to blow the wage distribution apart,” David Card, a labor economist at the University of California, Berkeley, said. Perhaps the most compelling evidence that Europe’s tentative new path will lead to deepening inequality comes from the country that adopted the strategy earliest and came out at the other end a paragon of success: Germany. The overhaul of the labor market started after German unification in the early 1990s, when factories in the less-productive Eastern part of the country found they could not compete at the pay scales provided in the West, and defected en masse from the sector agreements negotiated between industry associations and large unions. West German firms soon took up the strategy. The share of workers covered by collective labor agreements fell. In the early 2000s — when a hobbled Germany won the moniker “sick man of Europe” — efforts to improve competitiveness and employment further eroded worker protections, fueling a boom in low-paid, short-term “mini-jobs” that today account for more than a fifth of German employment. Today, Germany is seen as a shining example of the virtues of such reform efforts. It is an exporting powerhouse with an unemployment rate, according to the European statistical agency Eurostat, of 5.2 percent: the envy of the Western world. But on closer inspection it becomes apparent that not all Germans have benefited from Germany’s success. In 1991, the richest 10 percent of Germans took in 26 percent of the nation’s income before taxes and transfers, according to a report by Kai Daniel Schmid and Ulrike Stein of the Macroeconomic Policy Institute in Düsseldorf, which is closely linked to the German Confederation of Trade Unions. By 2010 they took in 31 percent. Over the same period, the slice of the nation’s income taken by the bottom half of the population fell to 17 percent, from 22 percent. As Professor Card has noted, the widening of the wage gap among German men from 1996 through 2009 roughly matches that in the United States during the 1980s — one of the periods of fastest-growing income inequality since the Gilded Age. And though inequality in Germany has abated somewhat over the last two years as the number of part-time, low-wage jobs has stabilized, it remains much higher than a decade ago. Whether Germany’s strategy will be of any use to distressed European countries today is hotly debated. German exports did take off, but domestic demand sagged, a direct consequence, critics say, of lower pay. So it took a long time for the efforts to produce jobs. What’s more, the German rebound relied on a fast-growing global economy that was hungry for its exports. The world is very different today. “Demand from Asia was much more important than mini-jobs,” Mr. Torres of the I.L.O. argues. But there is another issue at play. Even if the strategy were to eventually increase employment, what else will it do to Europe? Andrew Watt, an economist who heads the Macroeconomic Policy Institute in Germany, worries that the push for labor market deregulation will cascade from one weak country to the next, as all engage in a futile race to create jobs by gaining market share from one another in a world of insufficient demand. “Whichever country is weakest at the time is forced into major cutbacks. First Germany, now Spain, next France,” he said. There are signs of change, though. German elections earlier this year forced the Christian Democratic Union of Chancellor Merkel into a governing coalition with the Social Democratic Party. Part of the deal to form a government included introducing Germany’s first minimum wage, at 8.5 euros an hour, or about $11.50. Lifting German wages at the bottom end should help other European countries to some extent, expanding German demand for their products. It is perhaps overly optimistic, though, to assume Berlin would welcome similar policies among its poorer, weaker neighbors.